The following article from CBC news describes the derailment situation near Churchill, MB. A derailed freight train has forced Via Rail to cancel its passenger trains between Winnipeg and Churchill until further notice. OmniTrax Canada says 13 grain cars from a 50-car load derailed on the Hudson Bay Railway line, about 32 kilometres south of Churchill, at around 5 p.m. Monday. At the time of the derailment, the train was heading to a grain storage facility at the Port of Churchill. No injuries were reported, according to OmniTrax. Via Rail spokesperson Mylène Bélanger said the derailment is making the track unusable. About 22 Via Rail passengers heading to Churchill from Winnipeg were delayed in Thompson. They have since been flown to Churchill to complete their trip. 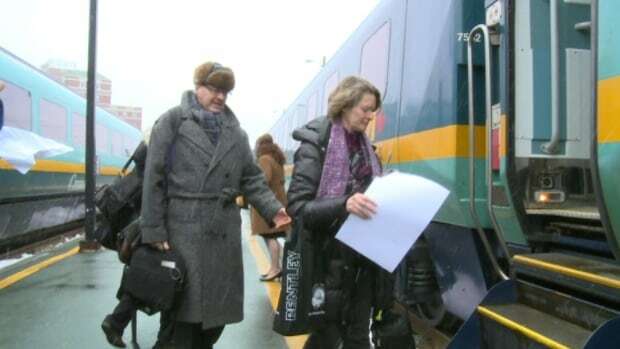 Bélanger said 40 other passengers were scheduled to travel with Via Rail between Winnipeg and Churchill in the next week, and they’ve been given an opportunity to cancel their trips or change their dates. “We’re really sorry for the inconvenience that this situation may cause, but it’s unfortunately impossible for us to operate our trains over this line until further notice,” she told CBC News on Tuesday. Tony Dasilva, who owns Gypsy Bakery in Churchill, said he’s waiting for the train to deliver fresh produce he has ordered. “When you live in a small town like Churchill … when you don’t hear the noise of the train coming in, we’re all looking and see what’s happening,” he said. Dasilva said employees with rail transport company Omnitrax told him about the derailment when they stopped by his shop for coffee. He said he may have to look at flying goods in if the rail line remains closed for more than three days. OmniTrax says it may take a few days until service to Churchill and the port is fully restored. At 17:00 on Monday, June 2, OmniTrax Canada staff were called to assess and respond to an incident on the HBR line, approximately 20 miles south of Churchill, Manitoba. Thirteen grain cars of a 50-car load derailed en route to the grain storage facility at the Port of Churchill. There were no injuries. We take incidents like this very seriously. Our staff was on site immediately to assess the incident and begin response procedures. Our staff have started re-railing efforts and clean-up of minor spilled product to ensure the track is passable for freight and passenger traffic as soon as possible. The safety of our crews and the protection of the products we transport is of the highest priority in these efforts. At this time we expect it may take a few days to restore full service to Churchill and the Port. VIA Rail Canada (viarail.ca) wishes to inform its passengers that, for operational reasons, until further notice, trains #693 and #692 will not operate between Winnipeg and Churchill, except for train #692 that will operate between Thompson and The Pas on June 4th. VIA Rail is communicating with customers who have reservations on the affected trains. We regret the inconvenience that this situation may cause. Customers wishing to cancel or change their date of travel may do so at no additional charge by calling 1 888 VIA-RAIL () or (hearing impaired).